It’s every Harry Potter fan’s dream to get an acceptance letter to Hogwarts School of Witchcraft and Wizardry. 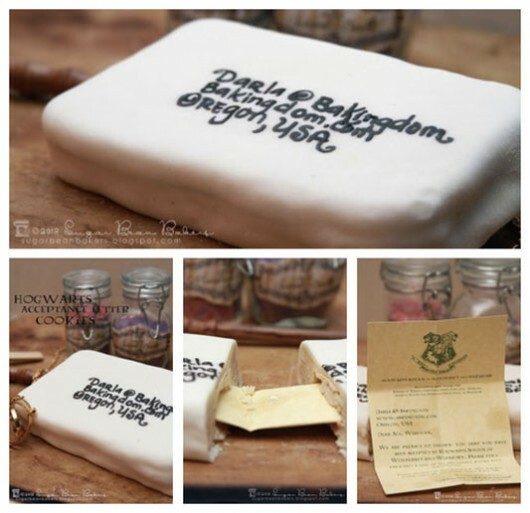 When Darla from Bakingdom talked about having never received her Hogwarts Letter, her online pal Tina of Sugar Bean Bakers decided to send her one for her birthday in a very special way – inside a huge cookie! Fortunately, Tina has shared the recipe for the Hogwarts Letter Cookie at her site, so now you too can send the Harry Potter fan in your life a Hogwarts Letter in this very special way. 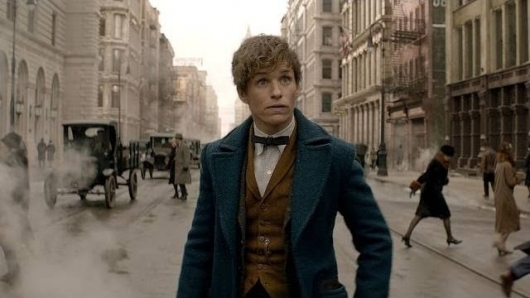 July 31st is the birthday of The Boy Who Lived, Harry Potter! 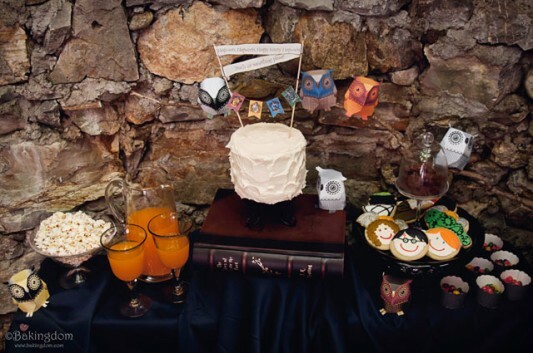 In honor of this occasion today, we thought it would be cool to share some photos of the Hogwarts School of Witchcraft and Wizardry cake that Darla Wireman over at Bakingdom made a while back for the release of the final film. 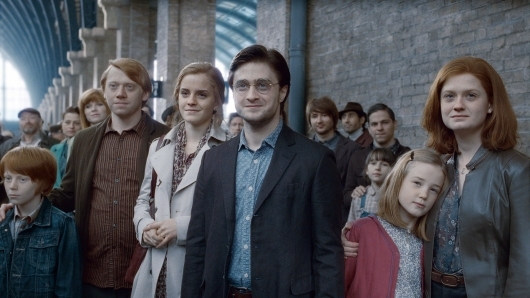 The Harry Potter-cake represents the four houses of Hogwarts – Gryffindor, Hufflepuff, Ravenclaw, and Slytherin – and Darla wrote that she wanted to create a cake that she thinks would be served in Hogwarts’ Great Hall. And, as Darla pointed out, since nothing is as it seems at Hogwarts, the cake follows that same pattern: it’s white and plain on the outside with just a white banner and the four House flags, but once you cut into it, there’s a colorful checkerboard design inside that represents the colors of the four Houses.